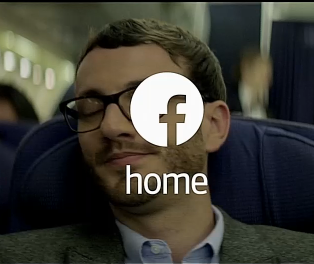 Google's Matias Duarte doesn't hate Facebook Home: Instead thinks it is incredibly polished! A couple of weeks back when Facebook Home was introduced to the world, some people speculated how Google would take someone skinning their beloved Android. Some people thought they'd be annoyed, ourselves included, but when you think about it there's not really any reason for them to mind because Google's services drive everything except the Facebook messaging and networking which would've been done inside an app anyway! As TheVerge notes Eric Schmidt said Facebook's work was "a tremendous endorsement" of the Google's ecosystem. It seems Google's love is spreading now and Matias Duarte, the guy behind Android's looks and recent 'holo' design has had a few nice things to say about Home too! So it seems that Google don't mind people skinning their OS as long as they do a good job! Does that mean that we'll see more launchers from people like Twitter in the future? Who knows. One thing we do know is that Facebook's ChatHeads are one of our favourite changes to our phones in a very long time, although that's strictly not Facebook Home! Let us know your thoughts on the launcher and what, if anything, you'd like to see changed or done to it in the future!